A DRV134 based converter for unbalanced signals to balanced. It's also a driver with good driving capability. The pcb has two layers and gold pads. It's an unpopulated pcb. 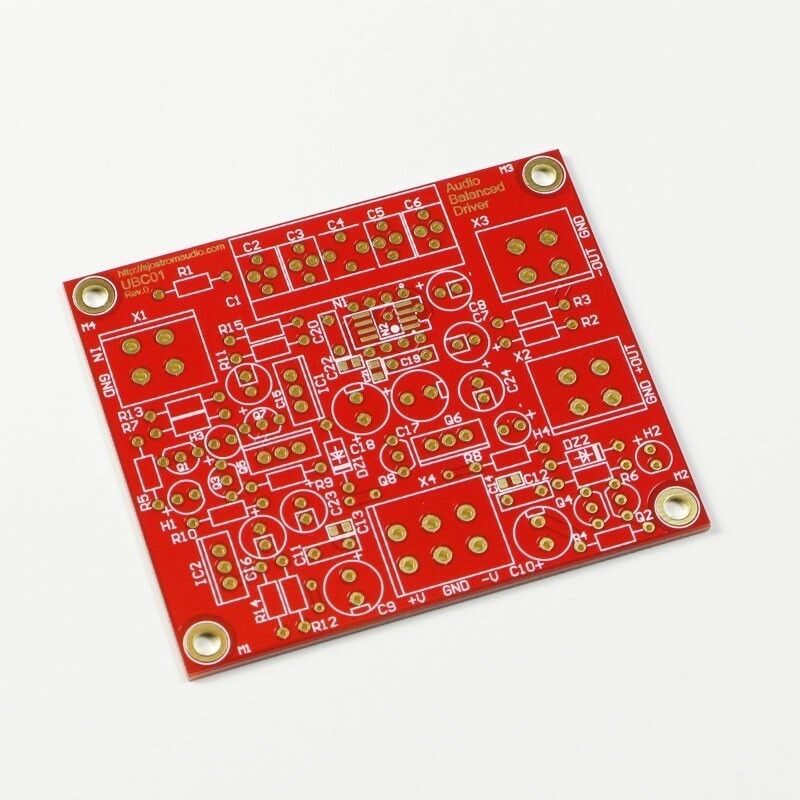 The DRV134 for the pcb can be bought, see below at accessories. UBC01 is a converter for an unbalanced signal to balanced. 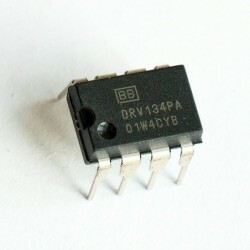 The major function is established by a DRV134/135. 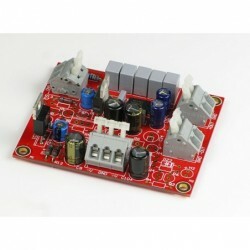 This design is very well suited for connecting two power amplifiers in bridge mode. 2-layer pcb with 35 um copper. High common mode output impedance. Low and adjustable differential mode output impedance. Option for DIL08 or SO08 DRV134/135 . Several types of input coupling capacitors, high performance RIFA PHE426 polypropylene or 5 mm/ 0.2" caps such as polyester or other types with the same footprint, or some other type with pin spacing from 15 to 27.5 mm. 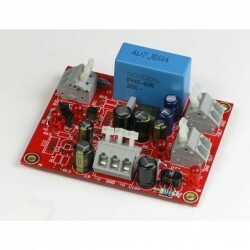 Discrete regulators for using higher voltage than the max supply voltage of the LM317/337.